Every freeze drying formulation has a critical temperature, below which it should be maintained during primary drying in order to prevent processing defects. 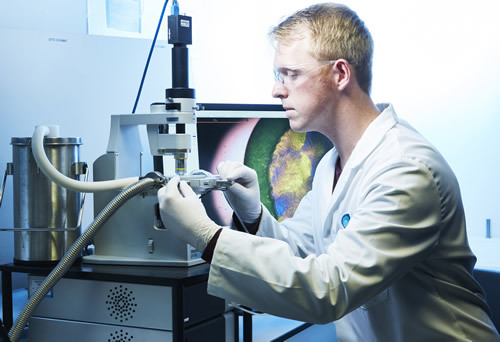 The Lyostat freeze drying microscope allows observation of the sample structure during drying and heating so that the exact point of collapse can be determined. Innovative lighting and image capture systems (with articulated head for easy sample loading) provide sharp visualisation for easy, accurate identification of structural changes. Once analysis has been carried out formulations and cycles can be developed that are safe, robust, and cost efficient. Every 1°C higher a formulation can be freeze dried at, results in an efficiency saving of 13%.